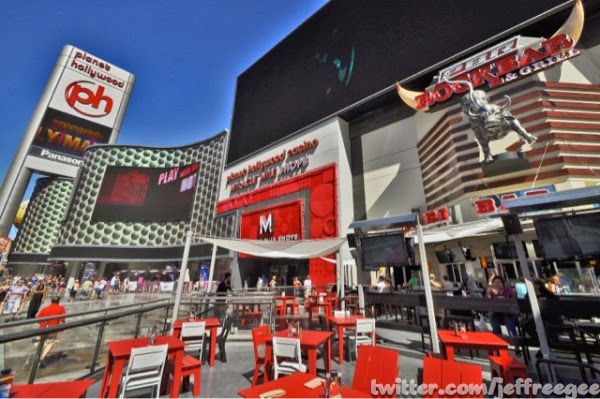 This week’s winner is @jeffreegee for his picture of the south public space at Planet Hollywood. This is one of my favorite places to hangout in Vegas. Any time I can hangout on the strip, people watch, enjoy the heat, I’m all about. Planet Hollywood may have the best strip frontage spaces for doing that. I love that so many properties are developing more strip public spaces. The picture shows the PH marquee, the PBR Rockbar as well as the entrance to the Miracle Miles shops. It’s another one of those pictures that immediately put there, in that exact place. Love this picture. You like that rock concerts sound just like the album. I get it, and I tend to agree... but consider what Freddie Mercury had to say about Queen concerts: "A concert is not a live rendition of our album. It's a theatrical event."